At the moment, Google Calendar is not available for download on computer. However, you can use emulators to run Android applications on PC. One example is the BlueStacks App Player. It is a powerful tool that provides users a virtual device similar to an actual phone. This also enables users to install games and other popular and in-demand applications. 3: Search for Google Calendar on the Play Store and install it. Get the official Google Calendar app for your iPhone or iPad to save time and make the most of every day. 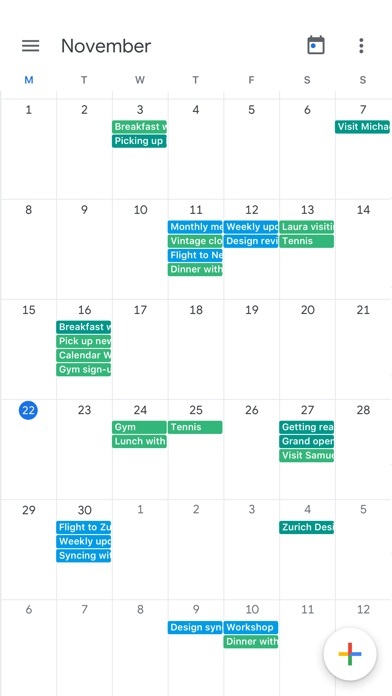 • Different ways to view your calendar - Quickly switch between month, week and day views. • Events from Gmail - Flight, hotel, concert, restaurant reservations and more are added to your calendar automatically. • To-dos - Use Reminders to create and view to-dos alongside your events. • Goals - Add personal goals—like “run 3 times a week”—and Calendar will schedule time for them automatically. • Quick event creation - Smart suggestions for event titles, places and people save you time when creating events. 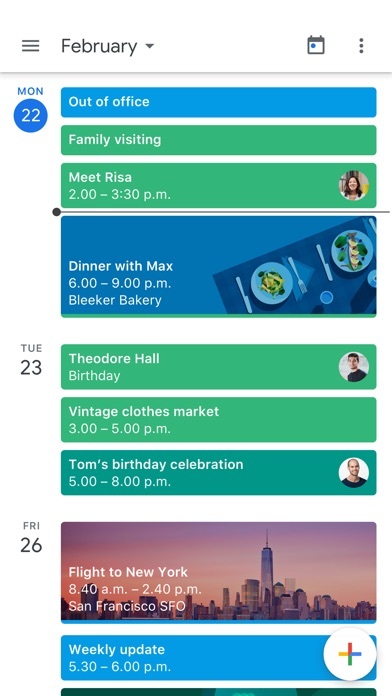 • All your calendars in one place - Google Calendar works with all calendars on your device, including Exchange and iCloud. 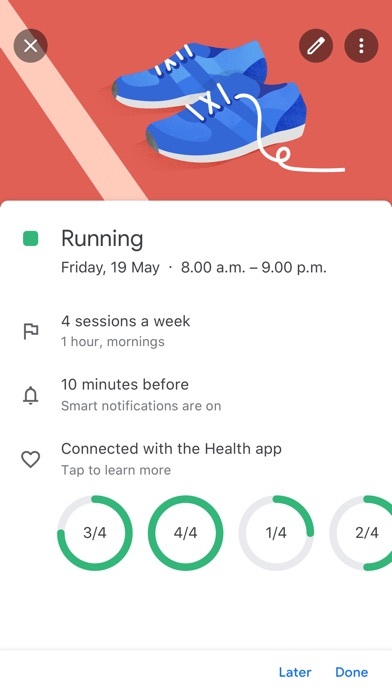 Google Calendar is integrated with Apple Health to track your workouts and mark Goals as done automatically. Been using this calendar app for about 5 years or more on phone and PC. It’s great. I like the features, like colour decoding, notifications, repeating events. There are a few things I’d like to be able to do, but can’t at the moment: 1) I’d like the option to be able to create notifications for the finish time of events. Currently only notifications for the starting times are possible. I need reminders to pick up my kids *after* the event too. 2) I’d like to be able to copy an event to a new date. I can set up repeats, but sometimes when I make a new appt, all details stay the same except the date and time. I’d like to be able to copy/duplicate an existing event to a new date/time. Eg when I’m at the physio making a new appt, I don’t need to re-enter everything, I can just say “copy this event” and select a new date/time. Would also be great - if I’m not asking too much - to have the option when adding a location to an event, to select ‘current location’. Many thanks in advance. I’ll change my rating to 5/5 (perfection) for these cake icings...!! When it works, it’s fantastic. When I book a flight and get the gmail confirmation, I like that it comes up straight away in Calendar with a picture. 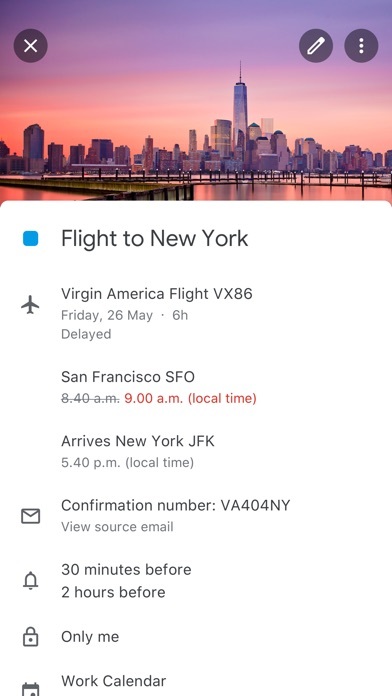 However, if I book multiple flights with multiple confirmations coming through within a small timeframe, only the first one comes through to calendar from gmail and there is no way to push the others through manually. Also, I recently booked hotels in Kyoto 2 nights followed by Naoshima 2 nights, with separate confirmations coming through to gmail. Calendar created event of 4 nights Kyoto. I tried to delete the last 2 nights but the whole event deleted and now I can’t push any of the bookings from gmail to calendar. 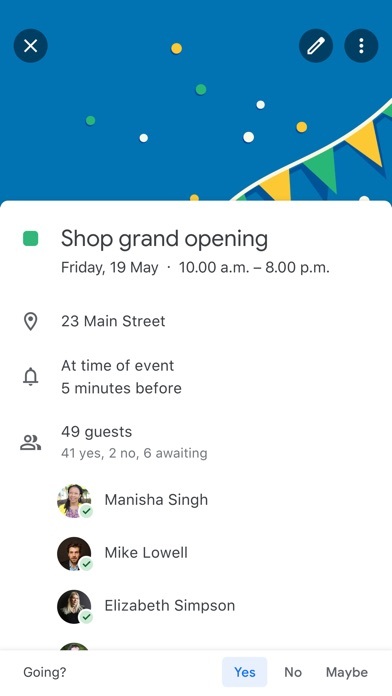 I could create events/bookings manually in calendar but that defeats the whole purpose of the app.